International politicians and diplomats vowed to open up corporate records, quash money laundering and end bribery in a bid to stamp out what Prime Minister David Cameron called the global "cancer" of corruption. But concrete results of a London anti-corruption summit on Thursday were mixed, with many countries failing to commit to the toughest actions sought by Cameron. Heads of state, ministers and diplomats from some 40 countries said they would "uncover corruption wherever it exists, and to pursue and punish those who perpetrate, facilitate or are complicit in it." The governments made a plethora of promises: to fight bribery in public contracting and the oil and gas sector, to return stolen assets to their owners and to clean up international sports. Firm commitments, however, varied widely. Just six countries, including Britain, Nigeria and Afghanistan, agreed to publish registers of who really owns companies in their territories — a key goal of anti-corruption groups. Six more said they would "explore doing so." The United States did not make that commitment, although Secretary of State John Kerry told the conference that a "pandemic" of corruption "is as much of an enemy, because it destroys nation states, as some of the extremists we're fighting." 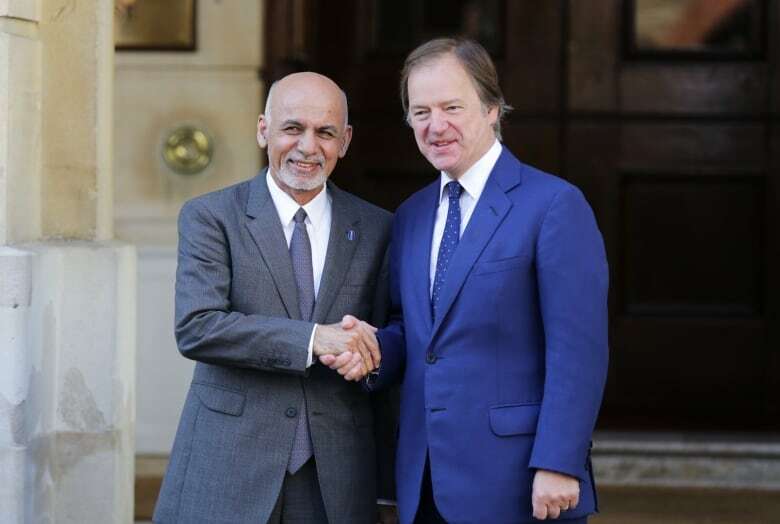 Thursday's meeting at London's elegant Lancaster House drew politicians from around the world, including the presidents of Afghanistan, Nigeria and Colombia, as well as representatives of financial institutions and civil-society organizations. Cameron, who has made battling financial wrongdoing a priority, said "corruption is the cancer at the heart of so many problems we need to tackle in our world." But critics say London's financial district is awash with ill-gotten gains, and many of the world's leading tax havens are British dependencies or overseas territories. In a move to greater transparency, Britain has passed a law requiring British companies — including foreign firms that own British property or seek government contracts— to disclose who really benefits from their ownership. Britain said the register meant that "corrupt individuals and countries will no longer be able to move, launder and hide illicit funds through London's property market." London is a magnet for international property-buyers, and the government estimates that foreign companies own around 100,000 properties across England and Wales, almost half of them in London. France, the Netherlands, Nigeria, Kenya and Afghanistan agreed Thursday to launch similar public ownership registers, while countries including Australia, Ireland and Norway said they would explore the idea. Cameron's own financial credentials were tarnished by last month's revelation — in leaked papers from Panamanian law firm Mossack Fonseca — that he had a stake in an offshore firm established by his late father. Cameron sold his shares in 2010, before he became prime minister. And the British leader ruffled feathers before the summit when a television microphone caught him saying "leaders of some fantastically corrupt countries" were coming. Speaking at a Buckingham Palace reception with Queen Elizabeth II, he referred to Nigeria and Afghanistan as "possibly two of the most corrupt countries in the world." Nigerian President Muhammadu Buhari and Afghan President Ashraf Ghani have both promised to curb corruption in their countries, and were among the most high-profile attendees at the conference. 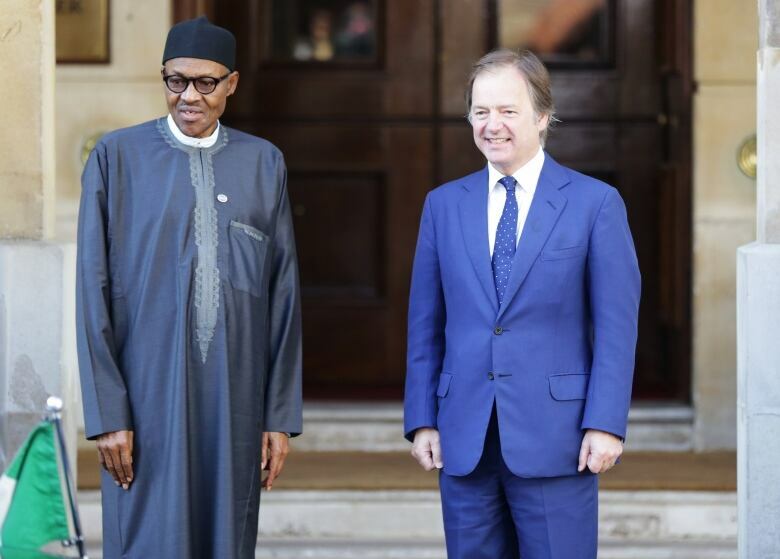 Buhari said he wasn't seeking an apology from Cameron over the remarks, but wanted something "tangible" — the return of plundered Nigerian assets held in British banks. He told the meeting that "corruption is one of the greatest enemies of our time." Ghani said corruption was fueling his country's political violence, and the fight against wrongdoing "should not be a fashion that is discarded with the next set of elections." There were some notable omissions on the conference guest list. Delegates discussed corruption in sport, but soccer governing body FIFA, wracked by a vast bribery scandal, is not at the meeting. British-linked tax havens including Bermuda and the Cayman Islands were represented at the summit — but others, such as the British Virgin Islands, were not. Cameron has said that Britain's Crown dependencies and overseas territories have agreed to draw up beneficial ownership registers and share the information with U.K. law-enforcement bodies. Jersey, the Cayman Islands, Bermuda, Anguilla and the Isle of Man agreed to join a group of several dozen nations that share such information with one another. Cameron said Britain's overseas tax havens were now "ahead of many developed states" in openness. But charities and opposition politicians say Britain must go farther and insist that the territories' ownership registers are made public. Allan Bell, chief minister of the Isle of Man — a British Crown dependency in the Irish Sea — said there wouldn't be real progress unless the United States made its own tax havens, such as Delaware, more open. Robert Palmer of anti-corruption group Global Witness said the results of the meeting were mixed, but positive. "The tide is definitely moving toward transparency, and the tax havens and the U.S. are being left behind," he said.